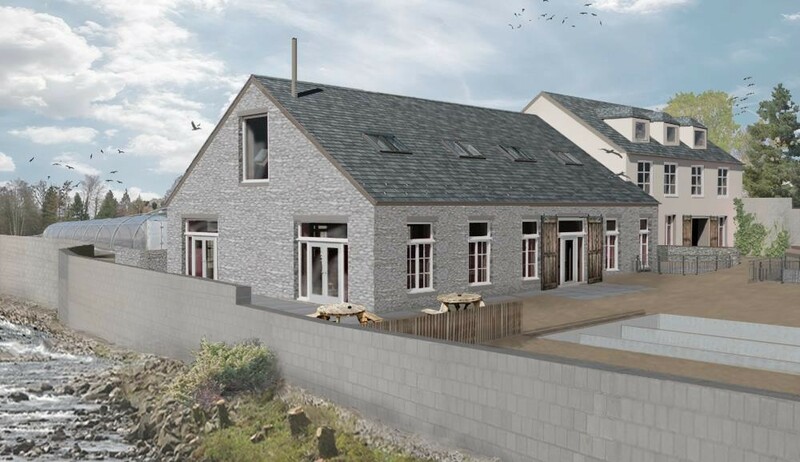 Plans for a new café, visitor centre and community space at a Perthshire mill have taken shape with the submission of plans by Studio East Architects. 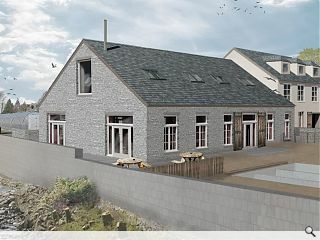 College Mill Trout Farm is seeking to renovate the Victorian Beetling Mill, currently used as storage, in order to diversify the current business with a café and workshop to attract more visitors and locals. Outlining the case for the build the architects wrote in a planning statement: “Situated within the mill, the Tickled Trout Café will offer a truly unique setting with the existing lade flowing through the mill along with information display boards and photos explaining the history of the Beetling Mill, local area and workings of the farm. The proposed work will entail fabric repairs to the slate roof, stone walls and new timber windows. Good idea to use a kit-house rather than something bespoke - if it all doesn't work out then they can live in it. Nairn's Bairn - you do realise that it is an existing building that they are refurbishing and making limited alterations to - and it's stone built not a kit! I do now thanks - and tracked down the application online (by the way UR - the link in the article doesn't work). There are no existing elevations online but there is a photo in the supporting statement. The existing building actually looks nice, with some chunky warm brown random rubble going on - not really conveyed by the image shown here, which has transformed it into grey pebbles. That's an imaginative and gorgeous breeze block wall. That'll reel the punters in for the cakes. A show case for Scottish architecture.